Whether you like to accent your wardrobe with a touch of Victoriana, or dress up in full Victorian costume, you'll find the elegance of the Victorian era captured in their Victorian style jewelry and fashion accessories. Explore our beautiful selection of Victorian style jewelry, cameos, brooches, hatpins, and more. Whether you enjoy wearing these exquisite pieces, or collecting them, we know you will love shopping here. 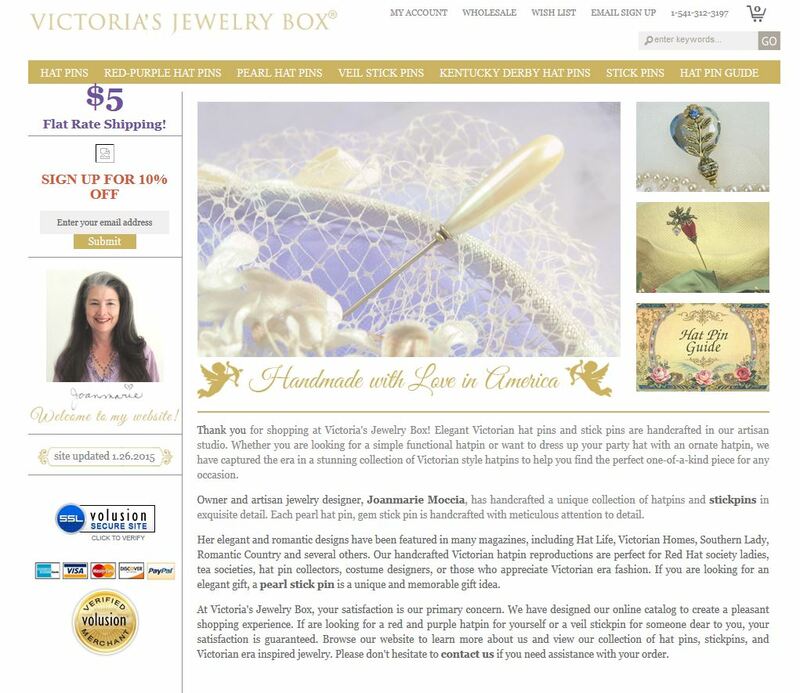 Victoria's Jewelry Box features one of a kind Victorian jewelry and Victorian fashion accessories for the discerning collector or wholesale jewelry merchant. Our collectors custom hatpins, brooches and stick pin jewelry are handcrafted Victorian reproductions. Perfect for gifts, presentations, bridal accessories, costume designers or vintage fashion wardrobe – each piece of jewelry reflects historic Victorian values.